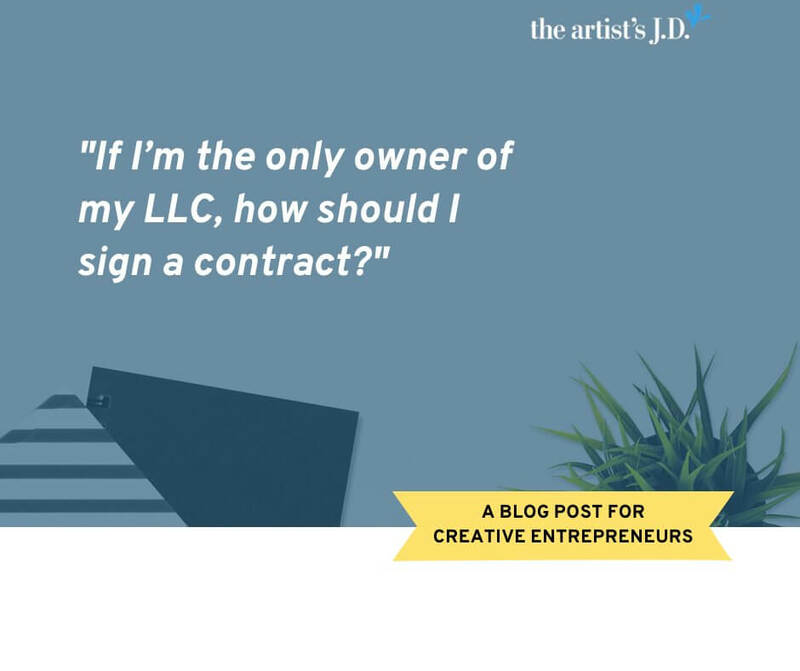 If I’m the only owner of my LLC, how should I sign a contract? - the artist's J.D. Congrats you are an LLC! Now you have to act like one! 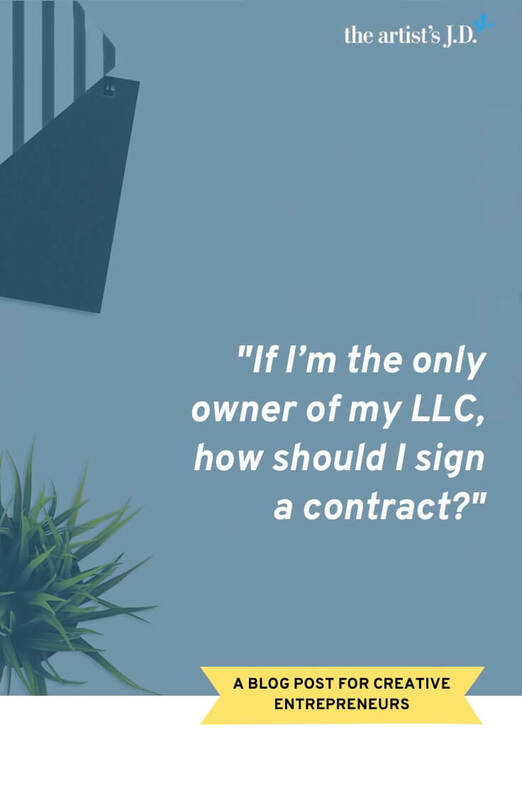 In this Ask Kiff video, you’ll learn how your LLC should (and shouldn’t) sign a contract! Check out the next episode on how to do a product or holiday roundup on the up and up here. Hey everyone! Welcome back to another episode of Ask Kiff. The series where I answer your questions every Friday. Congratulations! You’re now an LLC! How can we make sure that we keep that fence strong? And one of the ways that we’re going to keep that fence strong is to make sure that you’re signing contracts properly. Which is why I’m really excited about this week’s question. This week’s question comes to us from Angela who lives in Florida. 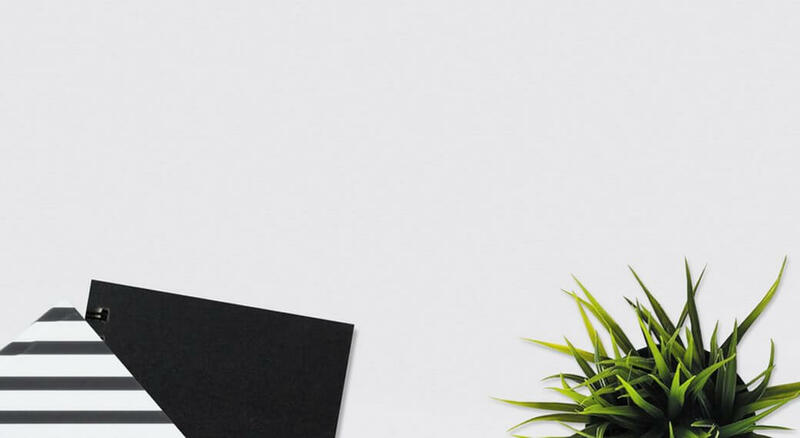 One thing that surprises or confuses a lot of creative business owners is that once you become an LLC, your LLC is treated as its own person. Legally it is own separate thing. And so you and your LLC are no longer one and the same. And this is important. This is the whole purpose that we’ve created the LLC. Remember we want to keep that fence between our personal life and our business life. So if anything goes wrong on either side, it can’t cross over. And so our LLC kind of has to be treated as its own person. Who are the contract parties? The first place we’re going to check is the parties to the contract. We’re going to want to make sure that the contract is between the LLC and the other person. So at the very beginning of the contract, up in those Whereas’, all of that beginning part of the contract, all the legal jargon at the beginning, it’s going to say that the contract is between the LLC and someone else. You want to make sure that your name is not listed there whatsoever. In my case, it would be that the contract is between the artist’s J.D. LLC and someone else. I want to make sure it doesn’t say anything about Kiffanie Stahle. So that’s the first place you are going to check. Who is signing the contract? The second place you’re gonna check is down at the very bottom of the contract, in the signature block. And you’re going to want to make sure that the contract is being signed by you on behalf of the LLC. And there are two different kinds of ways you can go about this. You on behalf of the LLC? The first way is just like I said, it’s gonna say Kiffanie Stahle, on behalf of the artist’s J.D. LLC. That’s one way you can do it. 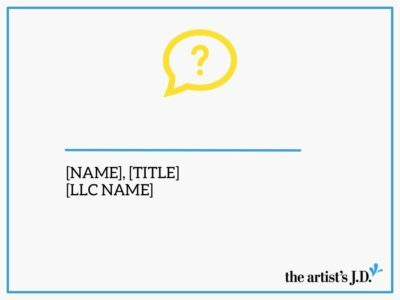 You in your LLC role (AKA title)? The second way and the more preferred way is to have your name, your title and then the LLC’s name. So in my case, it could be Kiffanie Stahle, Manager, the artist’s J.D. LLC. Now, this is kind of the preferred way to do it. There are a couple different titles that can go after your name. We could have Manager. We could have Member. 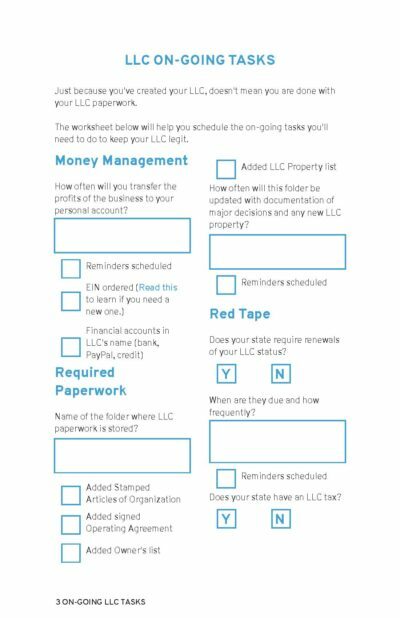 If you’re the only member of your LLC, we could even have Sole Member. 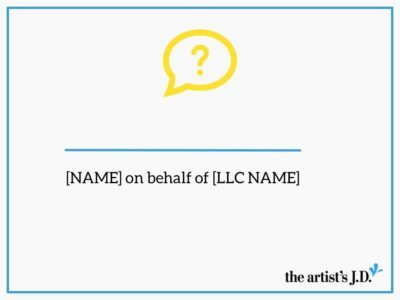 If your LLC Operating Agreement allows Presidents or other officers of the LLC, you could have Kiffanie Stahle, President, the artist’s J.D. LLC. So the one thing we want to make sure that it’s not there is Owner. For example Kiffanie Stahle, Owner, the artist’s J.D. LLC. Even though you are the owner of the LLC, that’s not the traditional LLC terminology. The traditional LLC terminology is Member. And so you want to make sure that even though you are the business owner, that word is nowhere near that contract. So that’s all! You’re going to make sure that the contract is between the LLC and the other person, up at the top of the contract. And you’re gonna scan to the bottom of the contract and make sure the signature block has you signing either as the hat that you’re wearing as the member or manager of the LLC, or that you’re signing on behalf of the LLC. Thanks for that great question, Angela! Got a question you want me to answer in an upcoming episode? Then make sure you head over to theartistsJD.com. That’s the place where I have a form for you to fill out so you can submit a question. But the only way to vote on which questions we answer is by being on my email list. Where I send out the questions that have been submitted and you get to vote on which ones I answer. So head over there using the link below and make sure you get on the list. I hope this episode of Ask Kiff helped add a little bit of ease to the legalese of running your creative business! Make sure you tune in next week. When we’re going to be talking about how you can do those holiday gift guide and other roundups without landing in legal hot water.